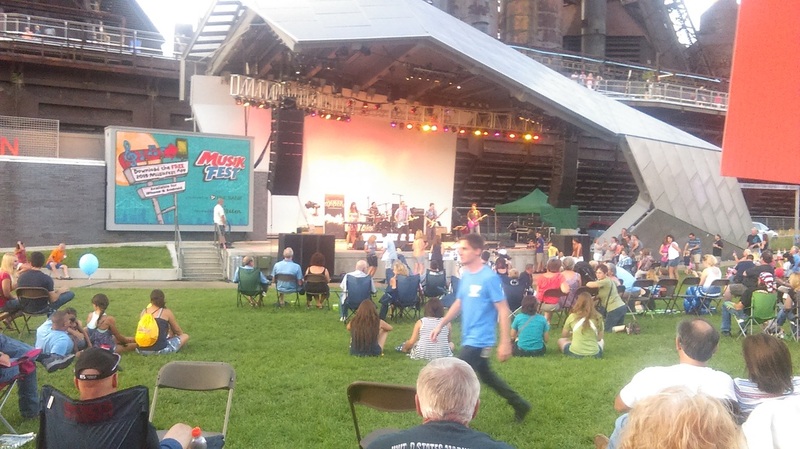 I skipped amateur (Musikfest preview) night at Levitt Pavilion. Curious how the cover band Sunshine Symphony would do opening up Musikfest. Pretty much decided to spend opening night on the South Side. After looking at the lineup for the entire Musikfest, it is less than impressive. Once again, ArtsQuest proves it knows zero about the local music scene. Several local bands are performing for the 2nd / 3rd / 4th / etc. year in a row. While others, who have easily earned a main stage (Platz) and especially Levitt Pavilion, are not even given a chance. Whoever the person is that organizes this part should have been fired by now, seriously. To have this band open up Musikfest / Levitt Pavilion was a serious embarrassment to the entire Lehigh Valley.